It was an Englische Woche to forget for Bayern München. The German giants dropped points midweek in a 1-1 draw against FC Augsburg and then lost 2-0 to Hertha Berlin on Friday. It was Bayern’s first defeat while the city is celebrating the world famous Oktoberfest since 2010. As a result, Dortmund managed to move past Bayern in the standings. “Those who know Bayern know that we won’t accept this,” Bayern head coach Niko Kovac told the media after the Hertha game. “You know how we react when we are angry, we will now give everything on Tuesday,” Bayern forward Thomas Müller added. Words that sound like threats to the coming opponents Ajax and Borussia Mönchengladbach – last season Bayern reacted to their 2-0 defeat in the Bundesliga against Hoffenheim by defeating Anderlecht 3-0. But the reaction has not always been positive after a Bundesliga defeat. One year earlier, in November 2016, Bayern followed a 0-1 defeat to Dortmund with a 2-3 defeat to FC Rostov. In four out of six cases since 2014 Bayern managed to walk away with a positive result in the Champions League after a Bundesliga defeat. “Three points would be important to calm things down,” Kovac told the media on Sunday. Bayern are heading into the match with just 16 fit field players, however, which means that Kovac will not be able to rotate significantly. With the games coming thick and fast that could be a factor down the stretch as only Rafinha is expected to return from injury in the near future. Bayern will be the big favourite on Tuesday against Ajax. Coached by former Bayern II head coach Erik ten Hag Ajax have a talented side that with plenty of attacking depth. Ajax beat Fortuna Sittard 2-0 on Saturday and remain in second place behind rivals PSV Eindhoven. “It isn’t easy to keep up the focus in the league when you have Champions League matches right around the corner,” ten Hag told the media following the match. His side was lacking focus in the first half but turned it on in the second half. “We made it difficult for ourselves. We have to play better together to have a chance [on Tuesday],” defender and captain Matthijs de Ligt told the press. In Europe Ajax are unbeaten in Europe in 2018/19, beating Sturm Graz home (2-0) and away (3-1) in the UEFA Champions League second qualifying round and Standard Liège 5-2 on aggregate in the third qualifying round (2-2 away, 3-0 home) before overcoming Dynamo Kyiv 3-1 in the playoffs (3-1 home, 0-0 away) and then defeating AEK on matchday one. Furthermore, injured players like Kasper Dolberg, David Neres and de Ligt, who had struggled with a minor knee injury, are all returning to fitness. Whether Frenkie de Jong will be able to play remains to be seen the midfielder has been struggling with calf problems. 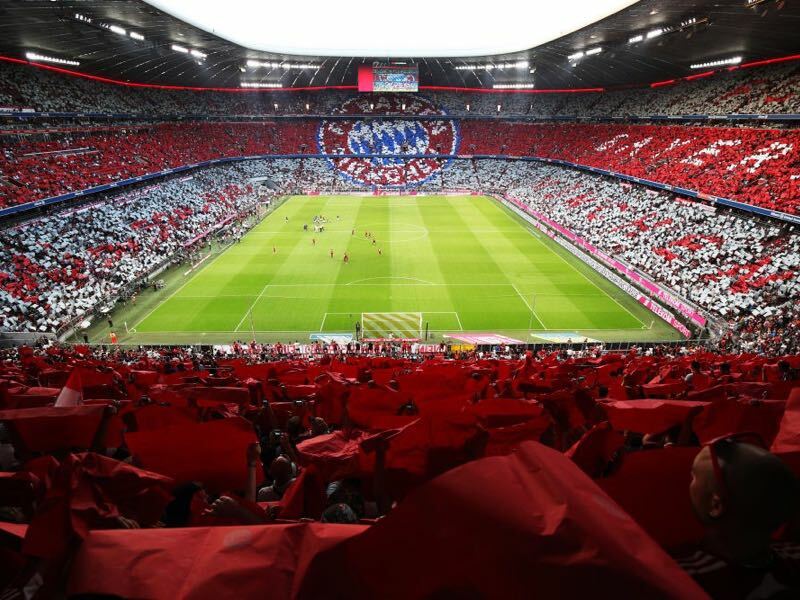 Nonetheless, it will be a football festival between two historic sides at the Allianz Arena in Munich. The match will be the ninth fixture – and home sides have traditionally held the upper hand. Of the eight previous contests, six have ended in a home victory, with the other two matches drawn and with Bayern the favourites the trend will likely continue. It was a day to forget for Robert Lewandowski against Hertha Berlin. The Polish forward had just three shots on goal with only one of them hitting the target. Missing two chances the game highlights that if Lewandowski does not score for Bayern, the Munich based club is in trouble. Bayern fans will, therefore, hope that the 30-year-old striker is wearing his goalscoring boots on Tuesday against Ajax. 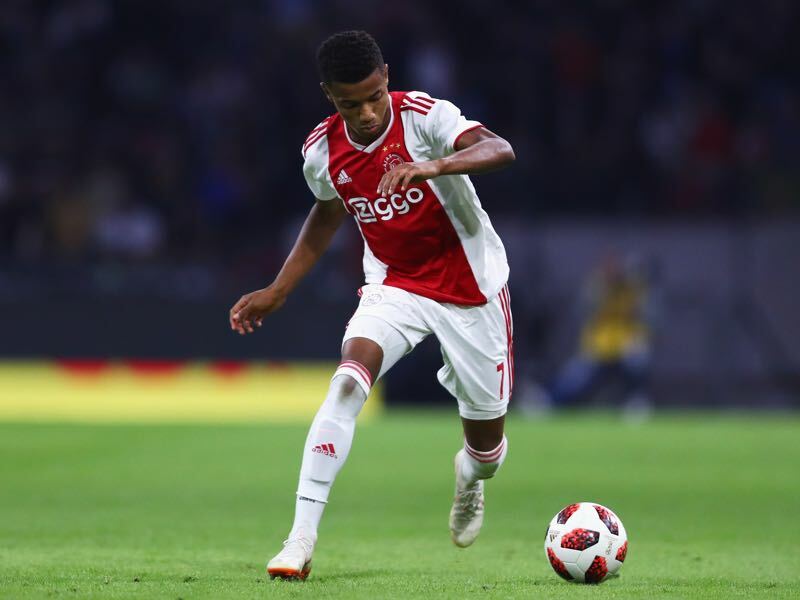 David Neres is one of the most sought-after talents in European football. In September David Neres told De Telegraaf that Borussia Dortmund were willing to spend €33 million for the talented Brazilian forward. Ajax, however, turned the offer down but there is no doubt that the Brazilian will continue to stay in the focus of top European clubs. After all, Neres scored 14 goals and 13 assists in 32 Eredivisie games for Ajax last season. 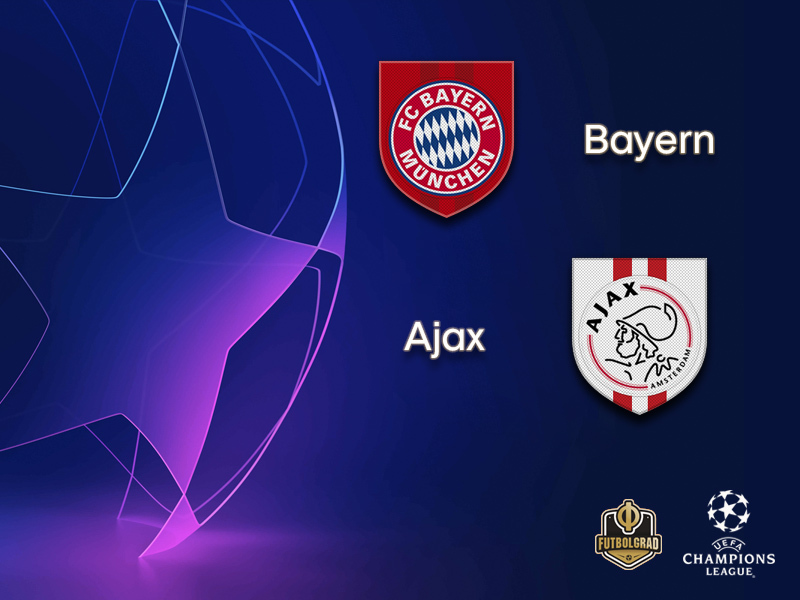 The most recent encounters came in the 2004/05 UEFA Champions League group stage, Bayern winning 4-0 in Munich – Dutch international striker Roy Makaay contributing a hat-trick – before a 2-2 draw in the Netherlands. That, however, is Bayern’s only success in the last five matches between the pair; Ajax have won two in that sequence, most recently a 5-2 semi-final second leg success in their victorious 1994/95 UEFA Champions League campaign. Bayern have never lost at home to a Dutch club and won their last four matches in Munich, most recently beating PSV Eindhoven 4-1 in the 2016/17 UEFA Champions League group stage. Ajax are the last Eredivisie visitors to leave Munich undefeated, with a goalless draw in that 1994/95 semi-final – one of only two occasions in ten home games against Dutch clubs where Bayern have failed to emerge victoriously. The Amsterdammers have lost on four of their last five trips to Germany although the most recent, a 3-2 defeat at Schalke in the 2016/17 UEFA Europa League quarter-final second leg, completed a 4-3 aggregate success.